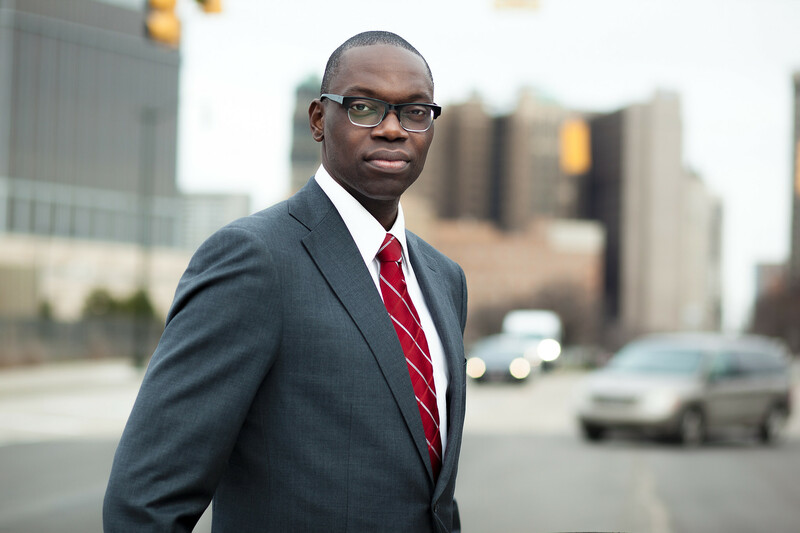 The right loss can lead to the perfect win, as Democratic gubernatorial nominee Gretchen Whitmer announced Garlin Gilchrist II as her running mate in the 2018 election. Gilchrist, who has never held elected office and narrowly lost the 2017 race for Detroit City Clerk in November to Janice Winfrey, has a proven background in technology and community organizing that can help move Michigan’s government into the 21st century and get things done for families across the state. Gilchrist, 35, is the former director of Innovation and Emerging Technology for the city of Detroit and serves as executive director for the Center of Social Media Responsibility at the University of Michigan. Gilchrist was born in Detroit and attended Detroit Public Schools until his family moved to Farmington when he was 8-years-old. He graduated high school and went on to attend the University of Michigan School of Engineering on a full academic scholarship. After college, he moved to Washington to work as a software engineer at Microsoft and serve as the Social Media Manager for the 2008 Obama campaign. Gilchrist also worked as a community organizer in Washington, D.C. at the Center for Community Change and MoveOn.org, where he spearheaded projects to protect and expand Medicaid. In 2014, Gilchrist and his wife, Ellen, made the decision to move back to Detroit to raise their family and help contribute to the future of the city. He served as the Detroit’s first-ever Director of Innovation & Emerging Technology and created a system for Detroiters to report problems in their communities, from potholes to broken street lights to clogged storm drains. Gilchrist emerged as a leading candidate in recent weeks as Whitmer focused on picking her running mate following her win in the Aug. 7 primary. The selection of Gilchrist would add a Detroiter and racial and gender diversity to a statewide ticket dominated by white women. In his race for Detroit City clerk in 2017, even as a newcomer, Gilchrist significantly outraised incumbent Janice Winfrey, with $308,794 mostly from small donations from contributors across the country while Winfrey raised only $29,300. But he ultimately lost the race by 1,482 votes, out of nearly 100,000 ballots cast. Gilchrist’s selection is a nod to the growing movement of often young and liberal progressives in the state. He will help bring young people out to vote and help mobilize African-American voters in Detroit. The Michigan Democratic Party will officially vote on the Lieutenant Governor nominee at this Sunday’s convention in East Lansing.